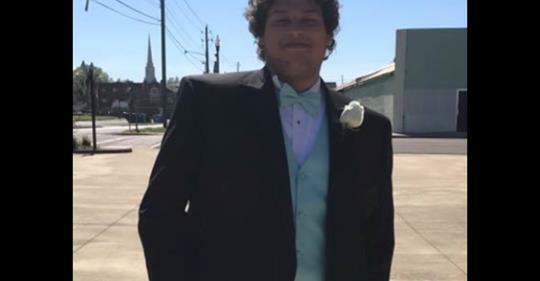 Chandler Gage Garcia, 20, of Piedmont passed away on Thursday, November 29, 2018 in Erlanger Medical Center in Chattanooga. He was in the construction business. He was born in Birmingham, AL weighing only three pounds but grew into a healthy adult. He participated in many sports, was a 2016 Graduate of Piedmont High School, and baptized at Piedmont First Baptist Church on 9-23-2007. He is survived by father, David McGatha; mother, Robyn Garcia; grandparents who had him from birth, Linda and Greg Donaldson; grandmother,Connie Reynolds; great grandmother, Molly Garcia; brother, Ethan Wayne McGatha; sisters, Madison Morrison, Hannah Joy Steed, Hayley Dawn McGatha; Aunt Crystal, Uncle Robert; cousins: Sammy Lynn, Andrew, Aubrey, Persephonie, and Ryleigh . Funeral Service will be Friday, December 7, at 11:00 a.m. from Piedmont First Baptist Church with Rev. Michael Ingram officiating. Visitation will be Thursday, December 6 from 6-8 p.m. at Dansby Heritage Chapel. Burial will be in Piedmont Memory Garden. Dansby Heritage Chapel is honored to serve the Garcia Family.